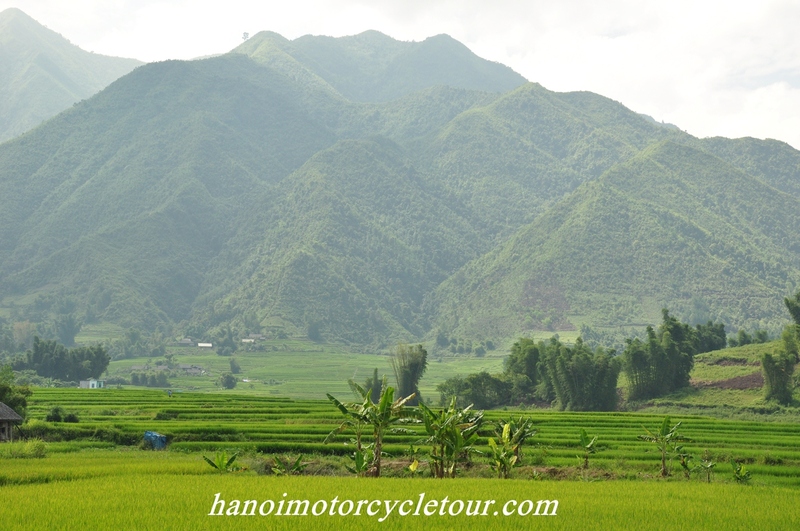 Hanoi motorbike tour to Mai Chau starts from the western outskirts of Hanoi at 8:30 am. Just after 45 minute riding we will be in countryside back- roads through some rural villages locating between hills and rice fields. 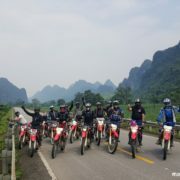 Lunch is in Yen Lac – Hoa Binh provice, the ride in the afternoon promise to be one of the best Northern Vietnam motorbike tours, As the Motorbike Tour Expert, we are different from the other Hanoi motorcycle tour organizers to take you on the better and safer roads with more beautiful view. All this motorbike ride is on mountain back-roads with beautiful view of mountain, river and cute houses on stilts. 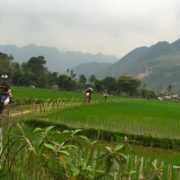 We will be in Mai Chau valley at 5:00 pm. Home stay with the Thai people. After local breakfast with the host, take it easy with a short walk around the peaceful villages of the Thai people who live on the stilted-houses. 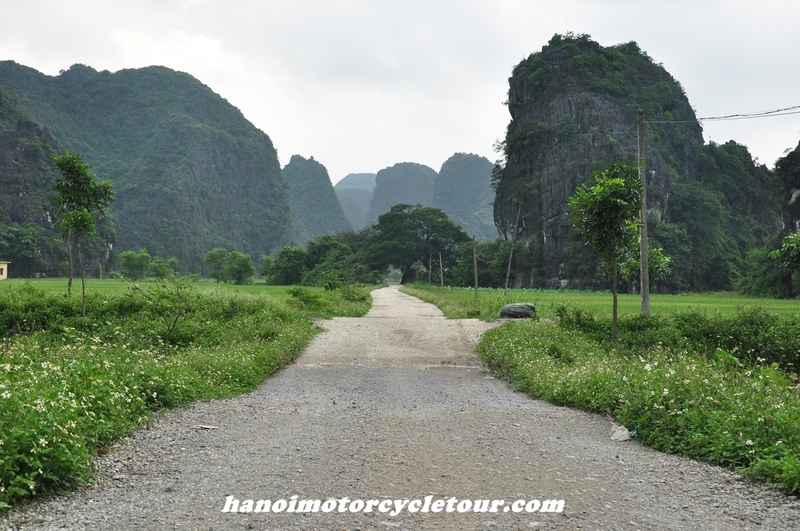 Then get back to the bikes and keep motorcycle touring North Vietnam up to Moc Chau. To avoid the highway No 6, we will motorcycle on the small mountain road that was built by the French, this road is almost empty and offers very beautiful view of mountain. The short motorbike ride on this forgotten road must be the highlight of the northwest Vietnam motorcycle tour. 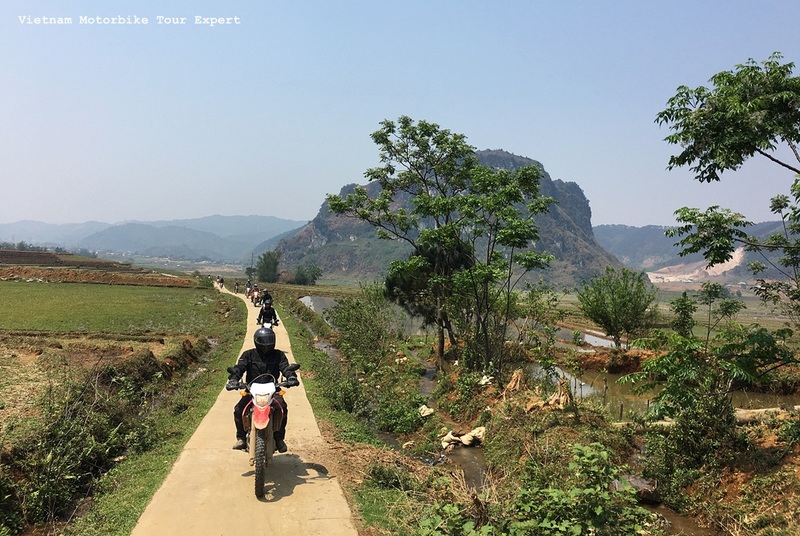 After lunch in Moc Chau we will hit all the way to Da river lake, after crossing the lake, we’ll have another great motorbike ride along the river, this ride promise to be the same as the coastal road Vietnam motorcycle tour. We arrive at Phu Yen in early afternoon, if you are not tired you can keep riding around the Phu Yen valley through some villages and rice fields, it can offer a joyful offroad motorcycle ride. We have “Pho” – a “must-try” food in Vietnam for breakfast. Depart at around 8:00 am. the ride today will be surely the highlight of the Northern Vietnam motorbike tour. 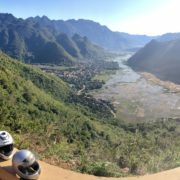 We’ll cross some of the longest and most beautiful mountain passes in North of Vietnam which can give you amazing pictures of mountain and terrace fields. The road is smooth and sealed but the scenery and the rustic villages of the hill tribes a long the way will make you stop every meters of the road. 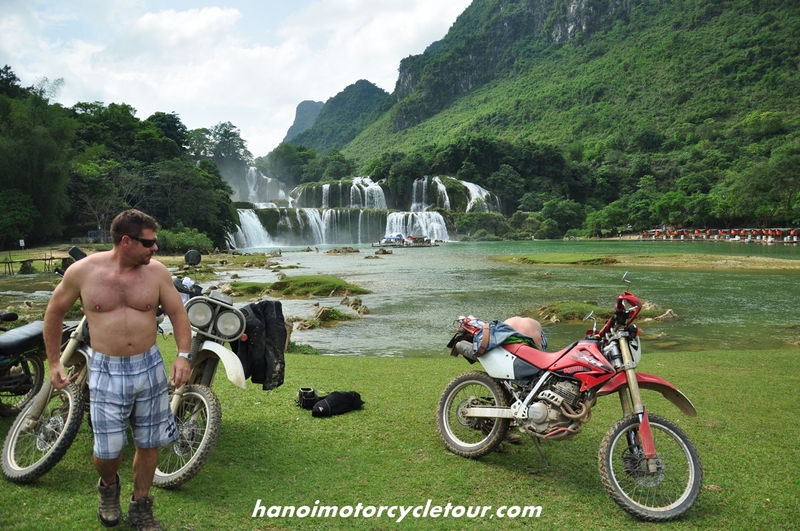 Personally, this is one of the best motorbike tours in Vietnam. We will end the day at the hotel in Than Uyen at 5:00 pm. 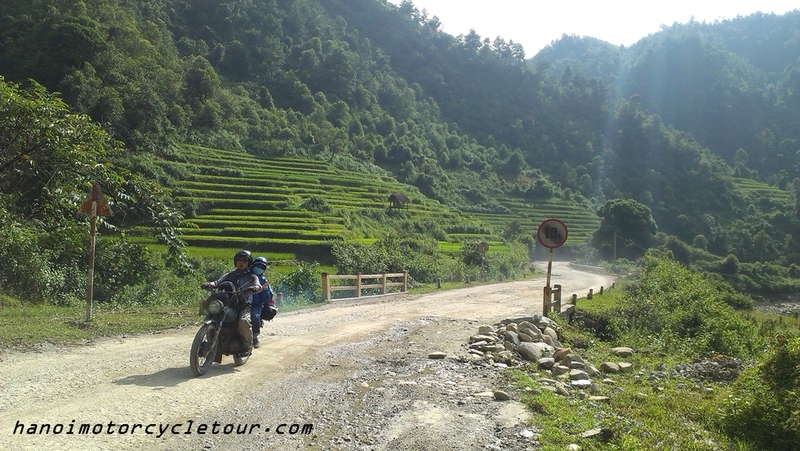 This motorbike ride to Sapa is another highlight of the northwestern Vietnam motorcycle tour. The ride of the first half will cross large green tea plantaion and then the other half of the ride must be one of the best motorbike tours in Vietnam when we motorcycle up and up on the O Qui Ho pass – one of the longest and most beautiful pass in Northern Vietnam. 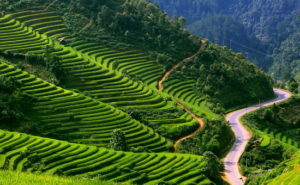 We will be in up to level of 1600 m above the sea level where we call the town in cloud – Sapa at noon time. 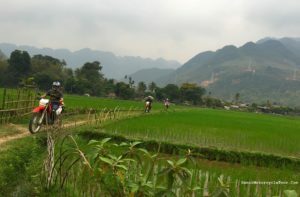 In the afternoon, we will have short motorbike tour around Sapa to some rustic villages of the Black H’mong , the Tay and the Zay people, in addition, the Sapa motorbike ride along the Muong Hoa valley promises to give you plenty pictures of breathtaking scenery of this most beautiful valley in North Vietnam. We will be back to the hotel in Sapa town in the late afternoon. Start the Sapa motorbike tour to Thac Ba lake earlier than usual. Back on the bike at around 8:00 and enjoy a great ride on the small winding mountain roads through some rural villages located on the mountain with nice terrace surrounded. 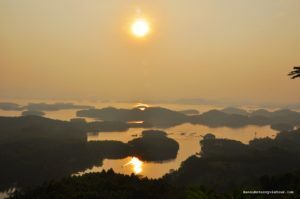 The motorbike trip to Thac Ba lake today offers a great chance to see China because after Sapa we will get close to China and have a short ride along the border. 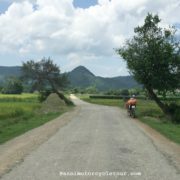 After lunch in Pho Rang, we will make a turn to back-roads through lovely villages with beautiful rice fields between the palm tree hills. 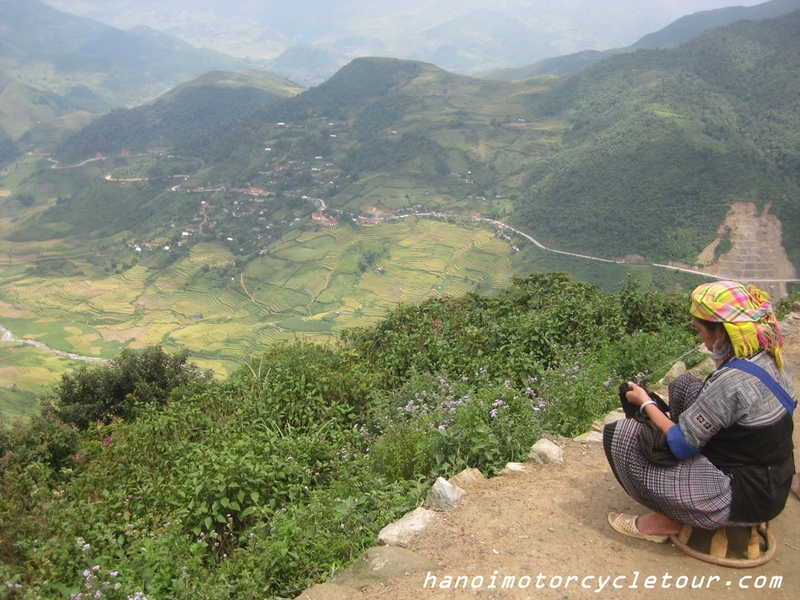 The last 80 km ride must be one of the most beautiful motorbike tours in Northern Vietnam. We will be in peaceful village of the Dzao people that located nearby the Thac Ba lake bank, drop the bikes in the village and have a great boat trip around the lake for about one hour. 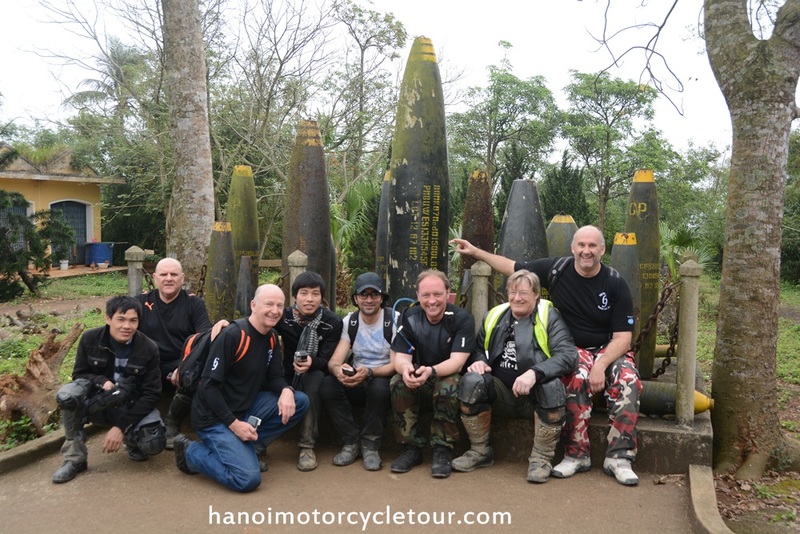 Unlike the other Vietnam Motorbike Tour organizers, the local team of Hanoi Motorcycle Tour will take back to Hanoi on our own road we can be sure that it is much less busier and than their roads. They can copy the text but they can’t copy our good road if they just stay in the office with the computer. 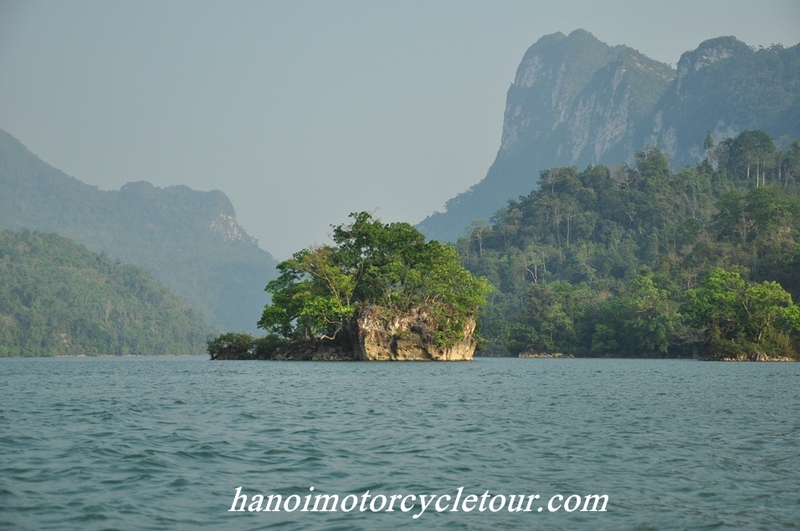 Upon on your request, we can offer a short off-road motorbike ride nearby Thac Ba lake. We have no choice for the last 20 km in Hanoi but riding slowly with many other local scooters back to the hotel in city center. 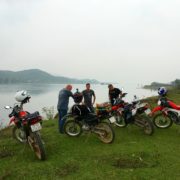 We will finish the Northwest Vietnam motorcycle tour at about 4:00 pm.